Winter is coming, and with it the seasonal flu epidemic – so how would we prepare, why is it important to vaccinate and whether there is any truth in a popular belief that one may catch flu as a result of vaccination? Following is some information for medical professionals. The health system is currently preparing for a seasonal flu vaccination ahead of the upcoming winter season. Flu is a fever disease caused by influenza virus, which breaks out every year during the winter season. The vaccination is carried out at polyclinics and hospitals, and this year the annual vaccination of 2nd-graders will be for the first time carried out at schools. We’ve chosen this issue to inform medical professionals on the principal information relevant to vaccination this winter. As mentioned above, flu is caused by influenza virus that produces a respiratory disease accompanied by high fever, shivering, weakness, loss of appetite and muscle aches. Influenza can cause such complications as sinusitis, bronchitis, asthma attacks, pneumonia and even death. The flu vaccine to be used this winter comprises killed flu viruses. The viral strains are determined once a year by the World Health Organization as early as February. The World Health Organization’s assessment for the Northern Hemisphere serves as a basis for producing the vaccines for that year’s flu season in accordance with the anticipated outbreak of the disease. The vaccination prevents heavy morbidity and fatalities. Observations of vaccinated population have revealed an approximately 20 percent decrease of the risk of hospitalization due to heart failure, to exacerbated ischemic heart disease and to stroke, a 30 percent reduction in hospitalizations due to influenza and pneumonia, and a 50 percent reduction in mortality. 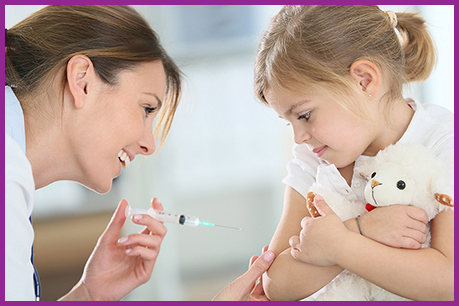 The existing vaccines are intended against three or four strains of influenza. The vaccines for this year’s coming winter will contain the following antigens: A/California/7/2009 (H1N1)pdm09 – like virus; an A/Hong Kong/4801/2014 (H3N2) – like virus; and a B/Brisbane/60/2008-like virus. The vaccine against four strains will also comprise a B/Phuket/3073/2013 – like virus. An early vaccination, before the flu season, is an effective means for preventing the disease and related complications. Pregnant women should also be vaccinated, first and foremost to protect themselves – since a high rate of serious morbidity and even mortality is associated with flu effects during pregnancy. Besides that, and no less important, is to protect their babies, either by transferring the antibodies or by preventing the infection. The efficiency of the vaccination actually depends on the patient’s vaccination status, on the degree of exposure to influenza viruses prior to vaccination and on the conformity of the vaccine’s strains to those that have actually attacked the patient. Vaccination reduces the influenza and pneumonia morbidity by about 80 percent and reduces the number of deaths caused by the disease’s complications. Common side effects of the vaccination by means of injection include mild pain, swelling and redness at the injection area. Sometimes a temperature rise may occur on the day of vaccination. It should be emphasized that since the viruses are dead, the light form of flu is not among the vaccine’s side effects. Let’s get vaccinated as soon as possible and pass the winter in good health.